Joanna Penn is a prosperous writer. Yes, you read that correctly. I wanted to begin the New Year with an episode guaranteed to inspire. Once I connected with Joanna, I knew she was the one to share with you first in 2018. Not only is she day-job free, Joanna Penn makes a solid six-figure income from writing and travels extensively to places that fascinate her to research her books. Before you glaze over, I promise you – this is far from a get rich quick scheme. 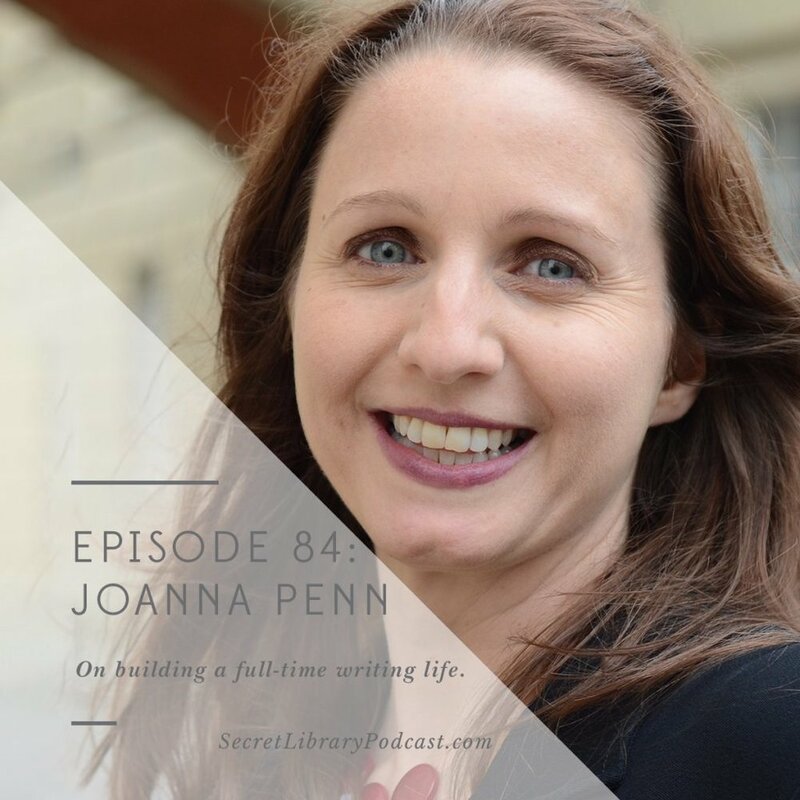 It took Joanna four years to build up enough income from writing books and speaking to walk away from the job that was crushing her creative spirit. She works very hard and writes continuously to keep new titles up to sell. She has learned so much from building a business as a writer, deciding not to publish within traditional publishing and going the indie author route, and choosing to write books that are fun for her to write. This episode was like an invitation to consider what is possible to accomplish for writers. A big proponent of developing a successful author mindset, I know Joanna will challenge you to dream bigger about living a great life as a writer. Our conversation definitely lit a fire under me and I have been writing like a maniac ever since. May it do the same for you. Happy listening! Masters degree in theology from Oxford. Then went into business consulting. Worked in accounts payable. “I got to the point where I was crying at my job.” On starting off NOT as a writer. Needed to change. Set affirmations. Took two years to be able to say (below) out loud. “I am Creative. I am an author." On setting intentions. “I was never going to give up the money.” On changing careers. “What is your definition of success?” On deciding between traditional & self-publishing. “I measure my life by what I create.” On deciding what matters. You have to decide whether or not you’re going to make money as a creator. As a writer she thinks first about the reader. Perhaps in contrast to literary fiction that is often more inwardly focused. “Literary fiction is a genre.” On categories of writing. “You have to write more than one book.” On making money by writing. Write a lot and write a lot of different books. You get more potential audiences and you become a better writer. Done with “book as baby” metaphor. Onto “book as employee” metaphor. The more books you have, the more readers & customers they can bring in. “You have to consume in order to produce.” On ideas and inspiration. Consume with the mindset of taking in ideas for your own work. Take notes. Write things down. Capture ideas continuously on the fly with Evernote or Pinterest. “Don’t feel guilty about what you’re interested in.” On genre versus literary fiction. Very hard to make a living on book sales alone. When she left her non-writing job she had four books, blog, affiliate income, speaking gigs, courses, events. “I was not relying on one book or even four books.” On having multiple streams of income. “Writing in a series is almost critical if you want to make a living.” On satisfying binge readers. Having books in multiple formats - ebook, paper and audio - and in both fiction and non-fiction, doesn’t cannibalize readers. The audiences are different. Don’t forget to think globally. If you own your ip rights, you can publish all over the world. AI translation is probably coming to non-fiction in the next five years. Literary and poetry translation will likely remain small and artisanal. English-speaking and reading markets are huge in countries like India & China. Larger even than market in UK. Think about book length. If you primarily sell ebooks, traditional book length - determined by physical shelf presence - is irrelevant. You can write shorter. 25,000 words is fine. 90,000 words is not needed. Deciding that you are a successful author causes you to focus on things that will help make that happen. “The people who are ready to hear the message will hear it.” On making the leap.